Mr. Gealy has spent his career as a trial lawyer, carrying on the 125-year long Baylor Evnen tradition of excellence in courtroom advocacy. His personal injury defense practice over the years has run the gamut from soft tissue injury and minor property damage claims to catastrophic injury and wrongful death suits. His trial experience in state and federal courts includes well over one hundred trials of cases arising from fires, alleged product defects and automobile, aircraft, oil field, agricultural and industrial accidents, with particular emphasis in his later years on the defense of commercial motor carriers. 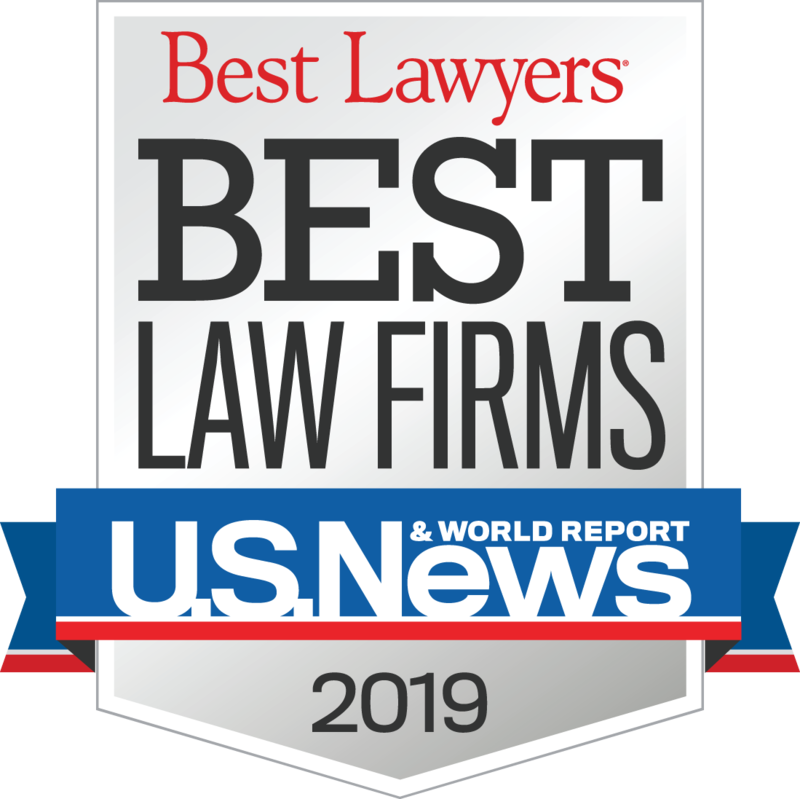 As a result of his years of trial practice, Mr. Gealy has been recognized by his peers as a Fellow of the American College of Trial Lawyers, a Fellow of the International Society of Barristers, a Fellow of Litigation Counsel of America and a member of the American Board of Trial Advocates. 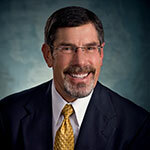 As an extension of his commitment to the litigation practice, Mr. Gealy has, for nearly 25 years, served the University of Nebraska as an Adjunct Professor of Law, teaching in the area of pretrial litigation. While Mr. Gealy maintains his zeal for the courtroom, the focus of his practice has more recently shifted to his work as a mediator. He is a firm disciple of the mediation process as a method to shorten the litigation process, save money for the litigants and provide the participants in a very real sense with their “day in court”. 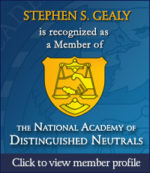 Mr. Gealy has been honored with membership in the National Academy of Distinguished Neutrals, an invitation-only professional association, the membership of which consists of mediators and arbitrators distinguished by their hands-on experience in the field of civil and commercial conflict resolution and by their commitment to the practice of alternative dispute resolution. Mr. Gealy’s mediation calendar may be accessed at https://www.nadn.org/stephen-gealy. Co-author, “A Career in the Courtroom: A Different Model for Success of Women Who Try Cases,” DRI (2004). Author “Ruminations on Argument,” Trials & Tribulations, The Newsletter of the Trial Tactics and Techniques Committee, p. 10. DRI (Spring, 2000). Author, “Protection Unlimited: A Preferred User’s Right to Means of Groundwater Diversion in Nebraska,” 62 Nebraska Law Review 270 (1983). Lincoln Lodge No.19, A.F. & A.M.